Celtic cross tarot is widely used tarot in the world. It originated during ancient times of Celtic in England. A tarot is an ancient divination that offers insights and guidance through symbols about one’s life issues. A tarot has a stack of 78 cards each with its own meaning and way of application. Through a tarot, one can discover the unseen or divine forces influencing his or her life. 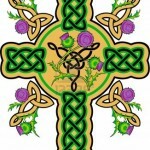 Celtic cross tarot is considered to be the easiest and simple way to get insights of your life. There are ten positions in a Celtic cross tarot each with a meaning arranged in a special layout. The first card represents your present, what is happening to you currently and your perception of the situation; what is in your mind. The second card or the challenge represents the challenge or the hallmark you are going through, this if resolved would make your life easier. It explains more the first card. Even if the results are positive, it should be considered carefully as it represents a challenge. The third card; the past, as the word suggests represents the events contributing to the current situation. It explains the second card or the challenge. The fourth card or the future represents what is likely to occur after some time. This may be weeks or months. It represents the next step not the final outcome. Card five represents your aspirations or the positive outcome with regards to your current situation. Shows what you are working towards or your aims. Card six or below gives you a reminder of your past through exposing factors leading to the current situation, at this point you can tell whether the Celtic cross tarot is correct or not by analyzing past events leading to the situation. If incorrect start again. The seventh or advice is one of the important cards. It takes into consideration all that is happening in your present life or the situation you are in and recommends an approach towards addressing the current challenges. Card 8; external influences, the card highlights the factors contributing to your future. It explains the people, events and other powers beyond your control which will affect the course your life takes. Card nine; hopes or fears, this is said to be the most difficult position to comprehend as fears and hopes are closely related as what you fear may be what you hope for and thus may fail to happen. It is advisable to draw a second card for clarification. Tenth card; outcome, the card indicates where your situation is head, whether it will be resolved and how. The outcome assumes you will be continuing with your current course of action. You can change the outcome by changing the course of action. You can therefore Celtic cross tarot in solving life questions which normal human beings cannot answer. The tarot gives you a chance to ask questions about any other card pulled from the deck to cross check the card you doubt. The layout is mainly chosen as the cards are laid in a way the show a reference to the past and can create a sense of connection.